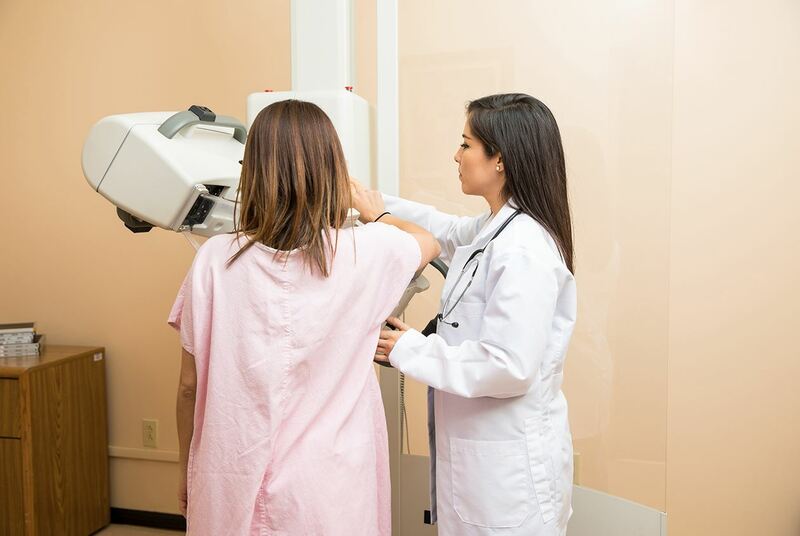 The breast screening controversy mainly arises from the risk of a “false positive” finding, where a mammogram initially shows a concern for cancer, but then follow-up testing reveals it to be benign or non-cancerous. False positive findings can result in anxiety and additional tests. “As breast imaging improves with more advanced technology, however, the risk of false-positive results is decreasing,” Mehta says. Guidelines also conflict on the frequency of screenings and when a woman should stop getting mammograms. “Since the risk of breast cancer generally increases with age, women may want to consider continuing regular screening for as long as they are in good health,” Dr. James says. If you are at high-risk for developing breast cancer, your doctor may suggest more frequent mammograms, even beginning earlier than age 40. Common high-risk factors include prior breast cancer, a history of atypical breast lesions, a strong family history of breast or ovarian cancer, or a known genetic predisposition to breast cancer. “It is important for women to know their family history and personal risks,” says Dr. James. Regardless of risk factors, Dr. Mehta and Dr. James both recommend that women should be aware of any changes in their breasts and obtain regular clinical breast exams. “Women who have symptoms such as a lump should also be evaluated with appropriate breast imaging,” Dr. James says. Speak with your doctor to determine your individual breast cancer risks and to make a shared decision about screening mammography for you. The breast imaging facility at BIDMC offers state-of-the-art digital mammography equipment, including 3D mammography or tomosynthesis. The BreastCare Center services in Boston and Needham have trained clinical experts who care for the full range of benign and malignant breast concerns. For advice about your medical care, consult your doctor. For more information about Beth Israel Deaconess Medical Center, visit bidmc.org.